Growing out of the stoner rock scene where they emerged in 1998 with their debut 7″ single which was awarded “Single of the week” in KERRANG! 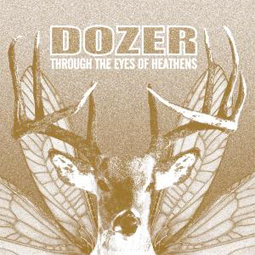 magazine, Dozer celebrates ten years as a band this year and what a way to celebrate. With new album out on Small Stone records and a world tour in the planning, Dozer are ready to offer the world a slab of what real passionate music can be all about! They recorded their upcoming fourth full-length album in Seawolf Studios, which is situated in an old russian army fortress on the island Suomenlinna in the inlet of the harbour of Helsinki, Finland. The fortress 5 ft. thick walls were vibrating with the full blast of bassist Johan Rockner’s bass lines and drummer Daniel Lid’n probably awoke a few ghosts with his marching band style drum fills. Mastodon’s singer/bass player Troy Sanders dropped by in the studio to lay down some guest vocals on the track ” Until man exists no more”.